AirgunWebTV 2019 (Episode 45) – UX Hammer, Ruger 10/22, Ninja! Gamo Competition Target – Airgun FUN! We had a great time at SHOT SHOW this year and we are continuing our coverage of Range Day down at the Umarex Booth with AirgunWebTV Episode 45. We shot the NEW Hammer, their .50 cal monster airgun. We also shot the new fully licensed Ruger 10/22 CO2 gun which was really fun. After that we’ll head back to the Shot Show floor and talk to some folks about the Gauntlet .25 and their new underlever spring airgun repeater! This is a BIG YEAR for Umarex USA. Umarex Synergis .177 Multi-Shot underlever! Thank you for watching AirgunWebTV Episode 45. 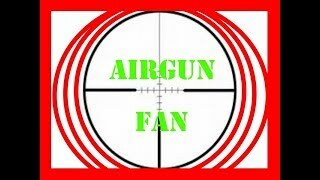 For more information, or to learn how to have your products represented on our network, please visit: https://www.airgunweb.com and https://www.airgunwebtv.com.